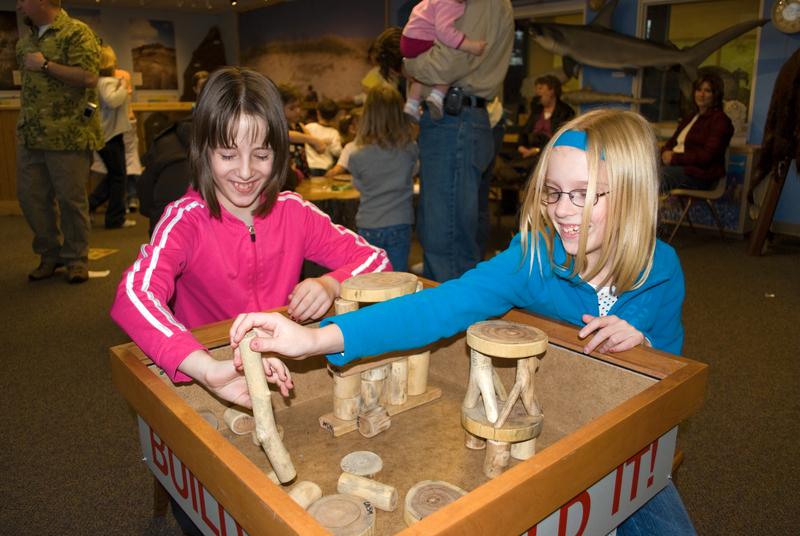 Young visitors explore science through hands-on activities in the Dr. Paul and Betty Marx Science Discovery Center in Morrill Hall. The museum will offer free admission from 4:30 to 8 p.m. each Thursday in July. Visitors can pose with the plesiosaur and mingle with the mammoths in Morrill Hall for free on Thursday nights in July. The University of Nebraska State Museum at Morrill Hall, south of 14th and Vine streets, will offer visitors free admission from 4:30 to 8 p.m. July 7, 14, 21 and 28. "Pop In Storytime," July 7, 6:30 to 7 p.m., Mueller Planetarium lobby – Lincoln City Libraries will teach about the natural world through stories, songs and movement. The story topic is "Space and Stars." Everyone is invited to participate, but stories and activities are planned for children 3-5. "Science Cafe: Animal Rights," July 21, 6:30 to 8 p.m. – This event is for adults 21 and older. Representatives of the Student Animal Legal Defense Fund in the University of Nebraska College of Law will explain how the law interacts with the protection of endangered species and wildlife conservation. The interactive presentation will address the Endangered Species Act as well as current legislation and lawsuits regarding wildlife protection. Tickets are required and can be purchased here.